I made these DIY paper peonies with coffee filters, a bit skeptical on how they’d turn out I was pleasantly surprised at how easy it is to make these gorgeous paper flowers. 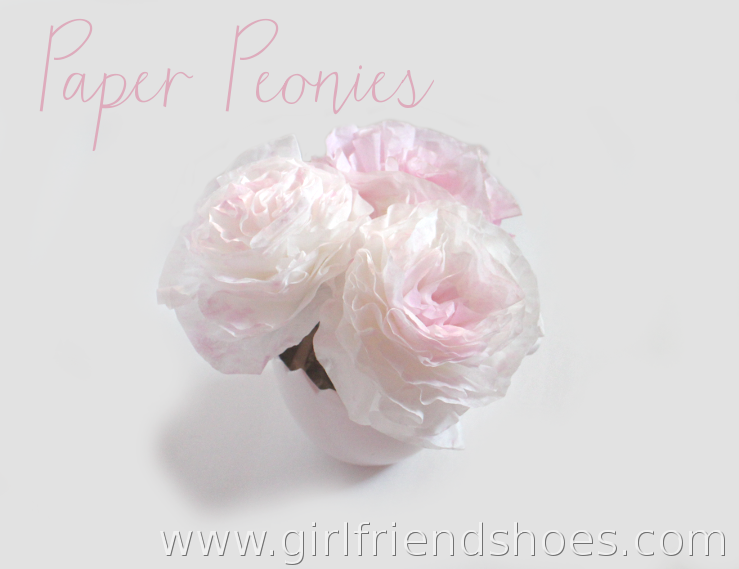 I used this super awesome diy coffee filter paper peonie tutorial from Little Birdie Secrets. I didn’t have food coloring but I did happen to have some left over Rit dye so I used that instead. I had the cutest flower pot in the shape of a broken egg which is perfect for Easter coming up. 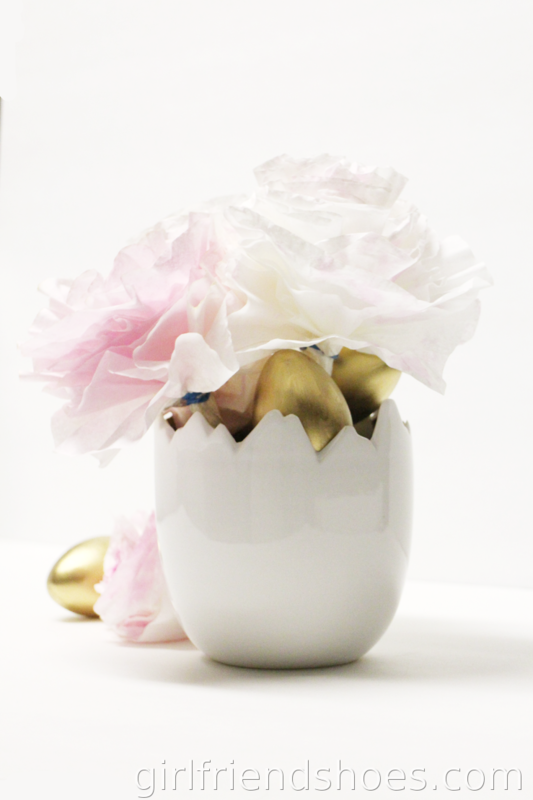 I also painted some eggs with a shiny gold and placed them around the paper flowers in the pot. I have purchased some crepe paper for my next paper flower venture, I’ve never used that type of paper before. I’m thinking if I can make some beautiful roses out of crepe paper that might make a nice addition to a mothers day gift. Flowers that last! 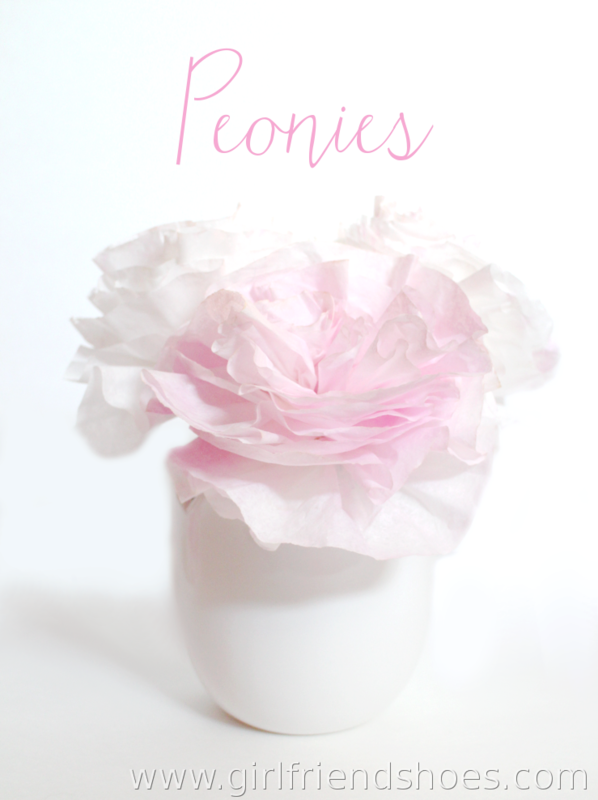 I am loving my new room accent of these baby pink paper peonies! I have a living room makeover to show you coming up which, if you like pink, you’ll adore!